Steve Caporizzo was named NEWS10's Chief Meteorologist in December 1989. 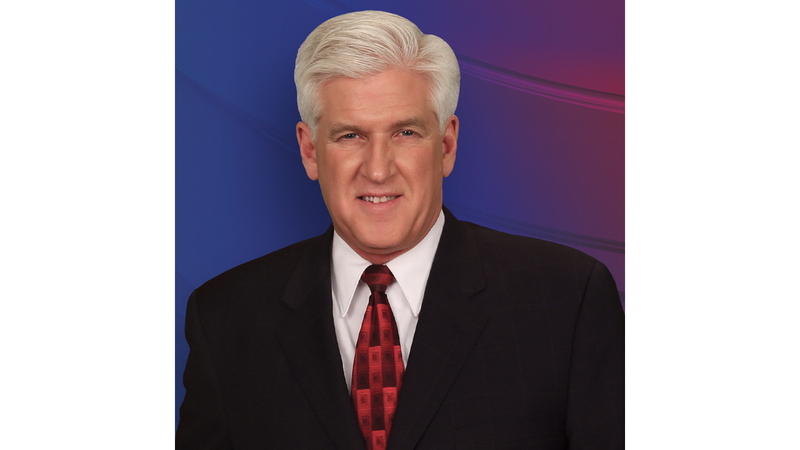 Prior to his arrival in Albany, he was named chief meteorologist at both WABI-TV in Bangor, ME and WWLP-TV in Springfield, MA prior to joining WTEN. He has also worked for dozens of radio stations throughout New York and New England over the years. Steve has been interested in weather since the age of nine years old. It is his dream come true to be paid for forecasting and reporting on the weather. It has been his life long hobby that is now his career. Steve is very active in the community and in the past 29 years, has visited over 1500 schools, civic groups, and senior centers. He is involved in dozens of fundraisers, many dealing with the plight of the homeless animals. In 1994, he was presented with the Partners in Education Award by the Capital District Council for Social Studies, for his efforts to educate children and adults about weather. Steve has been awarded the seal of approval for Television Broadcasting from both the American Meteorological Society (CBM) and the National Weather Association. He received a B.S. Degree in Meteorology from Lyndon State College in Vermont, in 1982. Steve is most noted for his work with homeless animals and fundraising for many Upstate NY and Western New England shelters. In fact to date, he directly works with 16 shelters and 6 local rescue groups. He has raised over $1,000,000 for homeless animals. In 1990, Caporizzo started a segment called Pet Connection, Each night on the 530pm newscast he highlights a a pet in need of a home. Pet Connection over the past 28 years has directly found homes for over 25,000 pets.. He sponsors and organizes many large adoption events each year where thousands of people show up to adopt and lend support to rescue and shelters. His new mission is to educate the public on the plight of puppy mill dogs and has made many trips to mills in Ohio to bring back and rescue dogs that are in very bad physical and emotional states. He has received many awards for his Pet Connection segments and work with the homeless animals. Steve says, "The best award is when you find that special home for a homeless dog or cat. That’s the best award is when you hear they have found that special home.. He has been on the Board of Directors at the Mohawk Hudson River Humane Society, the biggest shelter in Upstate New York. In 1999, Steve started "The Pet Connection Free Adoption Day". On this day (the second Saturday in June), there is a huge adoption clinic at 16 shelters. All pets adopted on this day into approved homes will have the adoptions fees/spay/neutering/shots paid for by Pet Connection. This has become the biggest single adoption clinic in New York State. In 2002, on this one day alone, 450 dogs and cats were given a second chance at life. Steve organizes so many pet events and fundraisers….including Pins for Pets in April, Pet Connection Adoption Day in July at The Animal Hospital, and Golf for Pets in September. Steve and his wife are very active in rescue with Free to be me Rescue. In fact, they foster many older dogs, some that are hospice-giving them the best possible life no matter how much time there is left. Steve has done much work raising money over the years for the American Lung Association, Children’s Miracle Network, Center for Disabilities and Make A Wish. Steve's work continues on radio. You can hear his forecast on FLY-92, The Cat 100.9, and Jamz 96.3 in Albany. He also continues to work for a small station in Brattleboro Vermont that he started in college in 1981. WTSA AM/FM. He said with a handshake, if you let me do your weather I’ll never leave…Well guess What? He is still doing it each afternoon. In his spare time, Steve enjoys gardening, the outdoors, and has a passion for fishing. He ties his own flies and spends many hours each fall fishing for salmon and steelhead. In the winter, you'll find him ice fishing on area lakes looking for that big Northern Pike. Steve prides himself in forecasting accuracy. The Weatherate Company evaluate the forecast every day in the Albany Television market. And for the past 7 years, this independent rating system has ranked WTEN Number 1 for the best and most accurate forecast. You can follow Cap on Facebook (Steve Caporizzo (Weather), and Steve Caporizzo’s Pet Connection) , Twitter, Instagram, Googleplus, and LinkedIn. Steve also has two Youtube channels, one called “Pet Connection” where you can see all the videos of the pets that are on TV, and “Steve Caporizzo” for updated weather feeds and briefings. If you would like to contact Steve, please e-mail him at:steve.caporizzo@news10.com. After the Rain tonight...a push of cooler and drier air. The wind and cold has arrived...but it will be much better tomorrow. Another MILD Day......and a bit of rain for the afternoon.